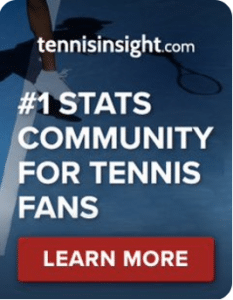 WTA St Petersburg Final: Vekic v Bertens | Tradeshark Betfair Tennis Trading Blog!Tradeshark Betfair Tennis Trading Blog! Vekic leads their previous matches 3-2. hey last met in Brisbane last month. Vekic won a tight 3 set match. Their last 4 matches were on hard courts. Vekic leads on hard courts 3-1. Vekic’s first service game of the week was a poor one and she was broken by Bacsinszky. Since then she has served extremely well. That break was enough to lose her the set but that’s the only set she has lost. She was broken twice in the last 3 matches and only broken twice in that first round match. Bertens was reasonably comfortable in her first 2 matches in this tournament. She had a lapse of concentration in the second set against Pavlyuchenkova and needed a third set. She won the third set 6-0. She was really close to losing the first set in the last round against Sabalenka. Her first serve was excellent in that set but her second serve was a real weakness. She won 8 of 23 second serve points in that first set. She improved in the second set and won it easily. Stats for the tournament are VERY even in everything except service holds. Vekic leads on service holds 89% v 83%. Some value on Vekic. I have been very impressed with her this week. Bertens will need to be at her very best to beat her. Three sets are likely. Lay Bertens around 1.50 and remove liability at 2.00. This entry was posted in Daily match picks and tagged betfair tennis trading, low risk tennis trading, prediction, strategies, trade tennis, tradeshark, vekic v bertens by .Bookmark the permalink.